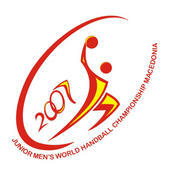 With the third win in a row, Egypt is the only team to earn the maximum of points after four matchdays at the Men's Junior World Championship in Macedonia, securing their place in the main round. Croatia is the second team to secure a spot in the next phase of the tournament, after drawing 25:25 with neighbours Slovenia. Most excitement will be in Group A and D where four teams in each group have equal chance to make through to the next round. One of the biggest surprises of the day was Portugal outlining host Macedonia 31:29. In Group A, Kuwait and Angola played the most dramatic match of the tournament. Thanks to the goal of Meshari Alharbi five seconds before the final whistle, Kuwait beat Angola 29:28. Portugal made a big surprise, beating Macedonia 31-29, although the hosts were the big favourites to win the game. Portugal play an excellent match, their players were more successful than the Macedonians. The host team will need a win over Kuwait to continue in the next round, and Portugal will try to surprise Sweden. France secured their first victory of the tournament, beating the weakest team in Group B, the Chile side, 37:24. The French players showed good handball during the match, they started really good, so the half-time difference was 15 goals. France played without five players and three of them were suspended due to unprofessional behaviour. Egypt needed one half to beat Argentina (31:21) and to keep strength for the next round. In Group C, Tunisia scored first points beating 31:28. The African team was better prepared than in previous two matches against Croatia and Slovenia. After 25:25 against Russia yesterday, Croatia earned the same result tonight in their game versus Slovenia. Both teams had a last chance to score, but it was enough for the main round. Powerful defence and effective fast-break attack marked the real potential of Spain.Slovakia did not find a solution against the opponent's tactics, and the Spaniards won 31:24. Korea defeated Brazil and practically secured a place in the main round. Fast Koreans overran the Brazil side in the opening of the match to extend the lead to 4 goals. Brazil's deep defence did not show any results, while the Koreans had not problems in keeping the difference.